This pro-landlord lease is designed for a regional shopping center tenant taking shop space in the mall. The form provides for minimum rent, percentage rent, grand opening contribution from the tenant, and prorata payment of operating costs for the center. The form also gives the landlord substantial control over the tenant's business operations (including operating covenants) and trade name used in the premises. Landlord hereby leases to Tenant and Tenant hereby rents from Landlord, the Premises having the floor area set forth in Section 1.1. Landlord warrants that it has the right to lease the Premises hereby demised, and that so long as Tenant is not in default hereunder, Tenant shall have peaceful and quiet use and possession of the Premises, subject to any Mortgage, and all matters of record or other agreements to which this Lease is or may hereafter be subordinated. Upon the election of either Landlord or Tenant upon delivery of the Premises to Tenant, but prior to Tenant's installation of its improvements, the Premises shall be remeasured by Landlord, at the sole cost and expense of the party electing such measurement, using the formula set forth in Section 1.1. hereof. If the total area of the Premises is found to be less than or greater than the area as set forth in Section 1.1., then Landlord and Tenant shall execute an amendment to this Lease to correct the discrepancy in the total area of the Premises, for all purposes of this Lease. If neither party elects a remeasurement upon delivery of the Premises to Tenant, the floor area stated in Section 1.1. shall be deemed accepted by the parties hereto for all purposes of this Lease. The Term shall commence on that date (the "Commencement Date") which shall be the earlier to occur of (a) the first day on which the Premises are "Ready for Occupancy" (as defined in Section 7.5. ), or (b) Tenant's opening of its business in the Premises. If the Premises are Ready for Occupancy prior to the Grand Opening Date, Landlord may require Tenant to defer its opening for business until the Grand Opening Date. The Term shall be for the number of years and months set forth in Section 1.1. plus the part of a month, if any, from the Commencement Date through the last day of the month immediately prior to the first full calendar month in the Term and shall terminate at the end of the Term (the "Termination Date"). If Tenant's alterations are delayed by Force Majeure (as hereinafter defined), then the date on which Tenant is required to open for business shall be extended for the period of such delay, not to exceed thirty (30) days, provided (i) Tenant provides prompt notice to Landlord of such Force Majeure, (ii) Tenant uses its diligent efforts to complete said alterations, and (iii) Tenant has otherwise complied with this Lease. "Force Majeure" shall be failure of power, restrictive governmental law or regulations, riots, insurrection or war, Acts of God, Casualty, strikes or lockouts (provided, however, financial inability shall not constitute a Force Majeure). Landlord and Tenant agree, upon demand of the other, to execute a declaration setting forth the Commencement Date and Termination Date as soon as the Commencement Date and Termination Date have been determined. Tenant shall vacate the Premises upon the expiration or earlier termination of this Lease and no notice to quit shall be necessary. Tenant shall reimburse Landlord for and indemnify and hold Landlord harmless against all damages, claims, losses or expenses incurred by Landlord resulting from delay by Tenant in vacating the Premises. In addition to such reimbursement and indemnification, if Tenant fails to vacate the Premises as required, the tenancy under this Lease shall be a tenancy at sufferance, subject to all of the terms of this Lease applicable to a tenancy at sufferance, except that (a) the Annual Basic Rental payable hereunder during said holdover period shall be equal to twice the Annual Basic Rental last payable during the Term and (b) Annual Percentage Rental payable hereunder shall be equal to the highest Annual Percentage Rental payable hereunder for any of the last three (3) Rental Years of the Term, on a prorated basis during such holdover period. For the period of three (3) months prior to the expiration of the Term, Landlord may show the Premises to prospective tenants during normal business hours provided Landlord does not interfere with Tenant's use of the Premises. Section 4.1. Prompt Occupancy and Use; Store Hours. Tenant shall occupy the Premises upon the Commencement Date and thereafter will continuously use the Premises for the Permitted Use and for no other use whatsoever, provided that Tenant may use minor portions of the Premises for storage and office purposes as are reasonably required for the operation of its business in the Premises. Without limiting the general prohibition contained in the preceding sentence (except as expressly permitted in Tenant's Permitted Use), Tenant will not, within the Premises, (a) install an automated teller machine; (b) make any vending machine available for use by Tenant's invitees; (c) make available for use by its invitees any facility or device for the transmission or receipt of information, data, sound, images, services or goods, including, but not limited to telephones and computers, (d) place, permit or operate any gaming device in the Premises or use the Premises or any part thereof for gaming or bookmaking purposes, or (e) provide any service which is provided to patrons of the Shopping Center from time to time by Landlord, directly or through third parties, as tenants of the Shopping Center or otherwise. Tenant shall cause its business to be conducted in good faith so as to transact the maximum volume of business in and at the Premises and shall keep the Premises open for business at least during the Store Hours or such other hours as shall be established by Landlord. If Tenant shall fail to keep its business open during the required hours and such failure is not due to a Force Majeure, then, in addition to any other remedy available to Landlord under this Lease, Tenant shall pay to Landlord, as Additional Rental for such breach, a sum equal to One Hundred Dollars ($100.00) for each hour or portion thereof during which Tenant shall fail to so operate. Tenant may operate its business during additional hours with Landlord's prior approval provided Tenant shall pay for its proportionate share of any and all additional costs incurred by Landlord as a result thereof. Section 4.2. Tenant Trade Name. Tenant shall conduct business in the Premises only in the Tenant Trade Name; provided, however, upon prior notice to Landlord, Tenant may change its trade name if substantially all of Tenant's and Tenant's affiliates' stores operating under the same Tenant Trade Name also change their trade name to such new trade name, and such other trade name will not conflict with, and in Landlord's reasonable judgment is not likely to confuse the public regarding, the trade names of other tenants in the Shopping Center. Within thirty (30) days of a permitted change in Tenant Trade Name, Tenant agrees, at its sole cost and expense, to replace its storefront sign to reflect the new Tenant Trade Name. Plans and specifications for such storefront sign must be set forth in detail and submitted to Landlord for approval prior to installation of said sign. Tenant agrees to pay to Landlord as rental ("Rental") for the Premises (a) the Annual Basic Rental specified in Section 1.1; plus (b) the Annual Percentage Rental specified in Section 1.1; plus (c) Tenant's Occupancy Charge specified in Section 1.1; plus (d) all additional sums, charges or amounts due under this Lease, whether or not such sums, charges or amounts are referred to as additional rental (collectively referred to as "Additional Rental"). Annual Basic Rental shall be paid by Tenant in equal monthly installments in advance on the first day of each full calendar month during the Term, the first such payment to include any prorated Annual Basic Rental for the period from the Commencement Date to the first day of the first full calendar month in the Term. Annual Percentage Rental shall be paid by Tenant monthly during each Rental Year on or before the fifteenth (15th) day following the close of each calendar month commencing with the first month during each Rental Year that Tenant's aggregate Gross Sales for such Rental Year exceed the Breakpoint for such Rental Year. Monthly payments of Annual Percentage Rental shall be calculated by multiplying the amount of Gross Sales for the month in question by the percentage specified in Section 1.1, with appropriate adjustment for the month in which the Breakpoint is achieved. As soon as practicable after the end of each Rental Year, the Annual Percentage Rental shall be finally determined and any necessary payment or refund shall be promptly made. Tenant's Occupancy Charge shall be paid by Tenant in equal monthly installments in advance on the first day of each calendar month during the Term, the first such payment to include any prorated Tenant's Occupancy Charge for the period from the Commencement Date to the first day of the first full calendar month in the Term. Tenant's Occupancy Charge shall be increased as of January 1st of each year during the Term by an amount equal to the greater of three percent (3%) or the percentage increase in the CPI multiplied by Tenant's Occupancy Charge for the prior calendar year. "CPI" shall mean the Consumer Price Index for All Urban Consumers (U. S. City Average) published by the Bureau of Labor Statistics of the United States Department of Labor. The percentage increase in the CPI shall be determined by (a) taking the September CPI most recently reported prior to the calendar year for which the increase is effective and subtracting the September CPI reported one year earlier (the "Prior Period CPI") and (b) dividing the result by the Prior Period CPI. If during the Term the CPI is changed or discontinued, Landlord shall choose a comparable index, formula or other means of measurement of the relative purchasing power of the dollar and such substitute index, formula or other means of measurement shall be utilized in place of the CPI as if it had been originally designated in this Lease. Unless the time for payment is otherwise expressly stated in this Lease, Additional Rental shall be paid by Tenant on or before the tenth (10th) day following Landlord's billing Tenant therefor. The first "Rental Year" shall commence on the Commencement Date and shall end at the close of the twelfth full calendar month following the Commencement Date; thereafter each Rental Year shall consist of successive periods of twelve calendar months. Any portion of the Term remaining at the end of the last full Rental Year shall constitute the final Rental Year and all Rental shall be apportioned therefor. The Annual Basic Rental and the Breakpoint shall be adjusted proportionately for any Rental Year of more or less than twelve (12) calendar months. "Gross Sales" means the actual sales prices or rentals of all goods and merchandise sold, leased, licensed or delivered, and the actual charges for all services performed by Tenant, or by any subtenant, licensee or concessionaire in, at, from, or arising out of the use of the Premises, whether for wholesale, retail, cash, credit, trade-in or otherwise, without reserve or deduction for inability or failure to collect except as set forth below. Gross Sales shall include, without limitation, sales and services (a) whether delivery or performance is made from the Premises or from some other place, (b) made or performed by mail, telephone, telefax, e-mail, Internet or any other communications medium to, at or from the Premises, (c) made or performed by means of mechanical or other vending devices in the Premises, or (d) which Tenant or any subtenant, licensee, concessionaire or other person in the normal and customary course of its business would credit or attribute to its operations in any part of the Premises. No franchise, occupancy or capital stock tax and no income or similar tax based on income or profits shall be deducted from Gross Sales. The following shall not be included in Gross Sales: (i) any exchange of merchandise between stores of Tenant where such exchange is made solely for the convenient operation of Tenant's business, (ii) sales of trade fixtures, machinery and equipment not part of Tenant's inventory, (iii) sales, use, luxury or excise taxes separately stated from the sales price, (iv) charges for alterations and/or repairs made at no profit to Tenant, (v) sales to employees at discount to the extent that such sales do not exceed one percent (1%) of the Gross Sales during any Rental Year and are at no profit to Tenant, (vi) receipts from vending machines and pay telephones located in non-sales areas, (vii) insurance proceeds, (viii) sales in bulk to manufacturers and jobbers, (ix) service charges payable to Tenant on accounts receivable, (x) all travel related revenue (including airline tickets, cruise vacations, hotel reservations and car rentals); and (xi) charges made for delivery at no profit to Tenant which shall be shown as a separate charge. The following may be deducted from Gross Sales: (a) cash or credit refunds to customers on transactions previously reported in Gross Sales and (b) to the extent that any purchase was previously included in Gross Sales, bad debts not in excess of one percent (1%) of Gross Sales in any one Rental Year (provided, however, that if Tenant subsequently receives payment on any account theretofore excluded, such payment shall be included in Gross Sales for the Rental Year in which received). Tenant shall not deduct from Gross Sales cash or credit refunds to customers on transactions which were catalog, electronic or Internet sales not included in Gross Sales. Those items which Tenant is permitted to exclude or deduct from Gross Sales may only be so excluded or deducted if complete, accurate and separate records relating thereto are maintained and preserved by Tenant and made available to Landlord. Deposits or payments on layaway merchandise sales (provided the customer has not taken delivery of the merchandise) shall be included in Gross Sales at the time such sale is final and shall be included as part of the overall sale. A "final" sale shall occur at the time a customer takes delivery of the merchandise. In the event that an order is canceled for which Tenant has received a deposit or partial payment which is not refunded, such deposit or partial payment shall be included in Gross Sales. Sales of gift certificates shall not be included in Gross Sales but the redemption of gift certificates at the Premises shall be included in Gross Sales, whether or not purchased at the Premises. Section 5.3. Statements of Gross Sales. Tenant shall deliver to Landlord: (a) within fifteen (15) days after the close of each calendar month of the Term, a written report signed by Tenant or by an authorized officer or agent of Tenant, showing the Gross Sales made in the preceding calendar month and (b) within sixty (60) days after the close of each Rental Year, a statement of Gross Sales (prior to excluding and deducting those items enumerated in the second paragraph of Section 5.2) and an itemization of any exclusions and deductions made by Tenant as permitted by Section 5.2 for the preceding Rental Year which shall conform to and be in accordance with generally accepted accounting principles and Section 5.2. 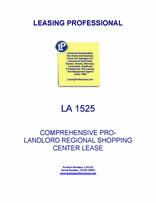 The annual statement shall be accompanied by the signed certificate of an independent Certified Public Accountant or the chief financial officer of Tenant stating specifically that he has examined the report of Gross Sales for the preceding Rental Year, and the calculation of Gross Sales has been made in accordance with the definition of Gross Sales contained in this Lease. If Tenant shall fail to deliver such annual statement and certificate to Landlord within said sixty (60) day period, Landlord shall have the right, after ten (10) days notice to Tenant, to employ its authorized representative to examine such books and records, including without limitation all records required by Section 5.4, as may be necessary to certify the amount of Tenant's Gross Sales for such Rental Year, and Tenant shall pay to Landlord the reasonable cost thereof as Additional Rental. If such audit shall disclose that Tenant's records, in the opinion of such independent Certified Public Accountant, are inadequate to disclose such Gross Sales, Landlord shall be entitled to collect, as Additional Rental, an equitable sum determined by such independent Certified Public Accountant but not exceeding fifty percent (50%) of the Annual Basic Rental payable by Tenant during the period in question. In order for Landlord to verify Gross Sales, Tenant will use and retain magnetic computer tapes (including tapes for its point of sale registers in the Premises), or such other device for recording sales as Landlord approves, which will disclose each sale or transaction. Tenant will preserve for at least three (3) years, and during the Term shall keep at the Tenant Notice Address or the Premises, original or duplicate books and records, which shall disclose all information required to determine Tenant's Gross Sales and which shall conform to and be in accordance with generally accepted accounting principles. Not more than once in any Rental Year upon ten (10) days' prior written notice, Landlord or any Mortgagee, their agents and accountants, shall have the right during business hours to make any examination or audit of such books and records which Landlord or such Mortgagee may desire. If such audit shall disclose a liability in any Rental Year for Rental in excess of the Rental theretofore paid by Tenant for such period, Tenant shall promptly pay such liability. If Tenant fails to provide adequate records or such audit shall disclose that Tenant has underreported Gross Sales by five percent (5%) or more during any Rental Year, (a) Tenant shall promptly pay the reasonable cost of audit and interest at the Default Rate on all additional Annual Percentage Rental then payable, accruing from the date such additional Annual Percentage Rental was due and payable, and (b) an Event of Default shall be deemed to exist unless, within ten (10) days, Tenant shall furnish Landlord with adequate records or evidence satisfactorily demonstrating to Landlord that such inadequate records or underreporting of Gross Sales was the result of good faith error on Tenant's part. If such audit shall disclose an overpayment of Rental by Tenant, Landlord shall promptly credit Tenant the amount of any overpayment. Section 5.5. Payment of Rental; Qualified Rental. Tenant shall pay all Rental when due, without any setoff, deduction or prior demand therefor. Except as provided herein, Tenant shall not pay any Rental earlier than one (1) month in advance of the date on which it is due. If Tenant shall fail to pay any Rental within ten (10) days after the same is due, Tenant shall pay Additional Rental equal to the greater of One Hundred Dollars ($100.00) or ten percent (10%) of any Rental payment not paid when due to reimburse Landlord for its additional administrative costs. In addition, any Rental which is not paid within ten (10) days after the same is due shall bear interest at the Default Rate from the first day due until paid. Rental shall be paid and statements of Gross Sales delivered or mailed at such place as Landlord may from time to time designate. Any payment by Tenant or acceptance by Landlord of a lesser amount than shall be due from Tenant to Landlord shall be treated as a payment on account. The acceptance by Landlord of a check for a lesser amount with an endorsement or statement that such lesser amount is payment in full shall be given no effect, and Landlord may accept such check without prejudice to any other rights or remedies which Landlord may have against Tenant. Landlord and Tenant intend that all Rental paid to Landlord under this Lease will qualify as rents from real property within the meaning of Section 856(d) of the Internal Revenue Code of 1986, as amended and as further defined in Treasury Regulation Section 1.856-4 ("Qualified Rental"). If Landlord advises Tenant that, in Landlord's sole discretion, there is any risk that all or part of any payments made by Tenant under this Lease will not qualify as Qualified Rental, Tenant agrees to cooperate with Landlord to restructure this Lease in such manner as may be necessary to enable such payments to be treated as Qualified Rental, provided such restructuring will not have a material adverse economic impact on Tenant. In the event that during the Term (a) one or more additional Anchors are constructed in the Shopping Center, or (b) one or more expansions of the Shopping Center, involving the addition of at least 50,000 square feet of floor area occurs, or (c) the Common Areas are expanded or renovated by the construction of capital improvements which have an aggregate cost equal to or greater than an amount equal to $20.00 multiplied by Landlord's Floor Area (any of the foregoing being an "Expansion"), then, upon the opening for business of each Expansion, the Annual Basic Rental shall be increased by ten percent (10%) for each such Expansion and the Breakpoint shall be increased by a like percentage.